Hint: Order two cartons (4 panels) plus a $1.00 pack of seeds, and you will be just at the $50.00 minimum order). I'll be updating the EarthTainer Construction Guide with specific bend dimensions, etc. in the near future. Last edited by rnewste; November 5, 2010 at 06:31 PM. I love the whole fold it up flat and store it concept, nice job Ray! I have now improved the rigidity of the design by using 8 wire rope clips to secure the horizontal ribs of the cage together, instead of the zip ties. 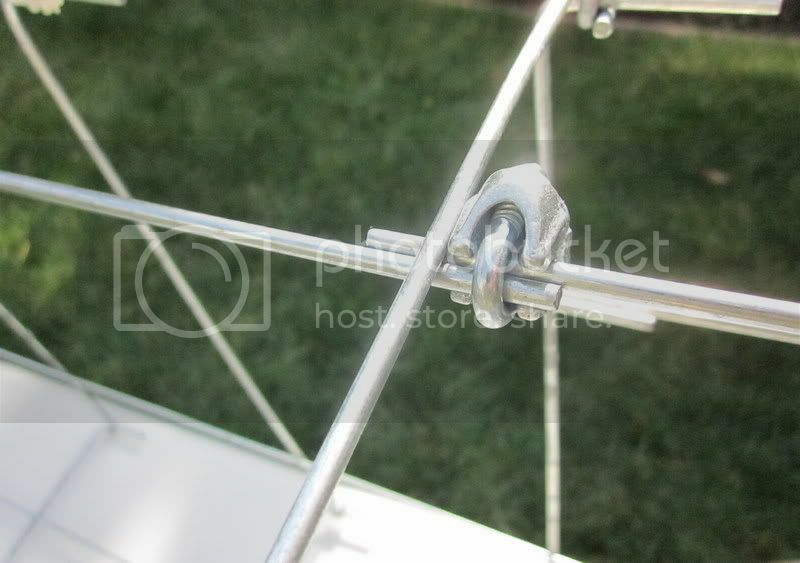 If you hand tighten them with a nut driver to be snug, the joints still will twist easily to fold up the cage. 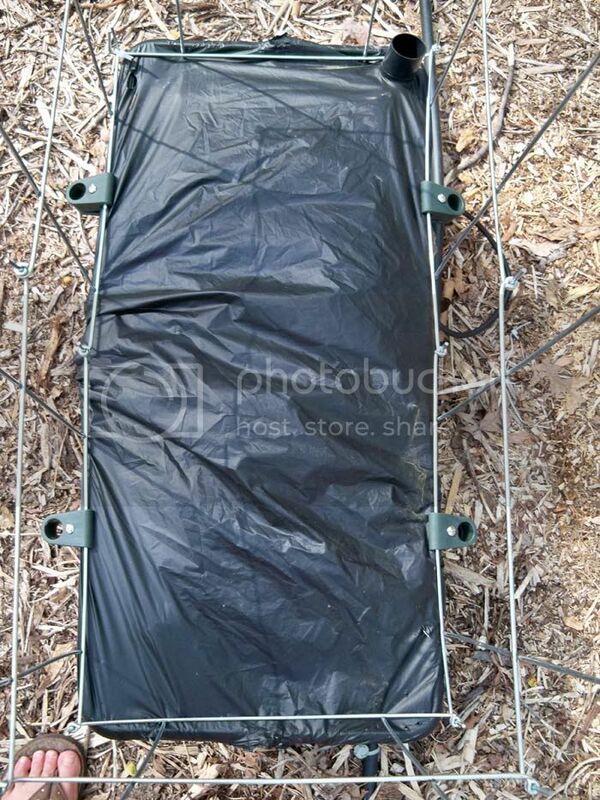 The flattened cage measures 42 inches wide, by 61 inches high. Keeping them inside during the Winter will obviously prolong their life, as well as the Yard just looks better, according to Dear Wife. 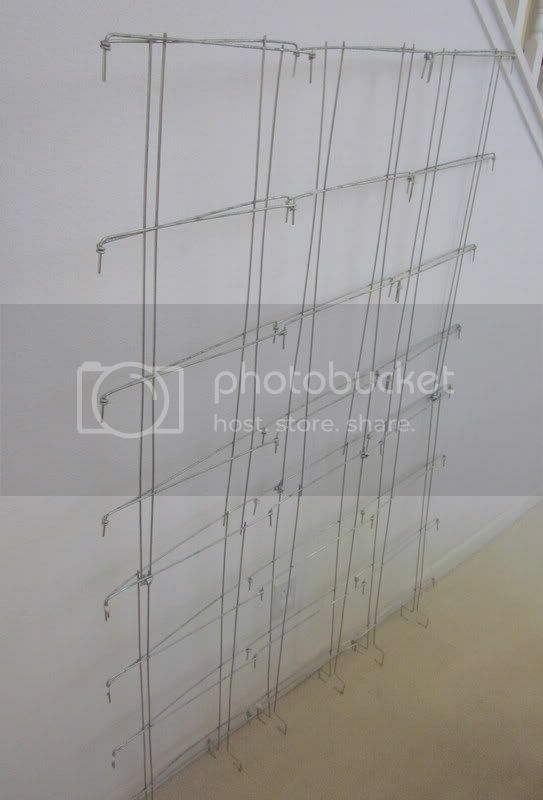 Anybody want to buy 32 (slightly used) Glamos heavy-duty tomato cages??? 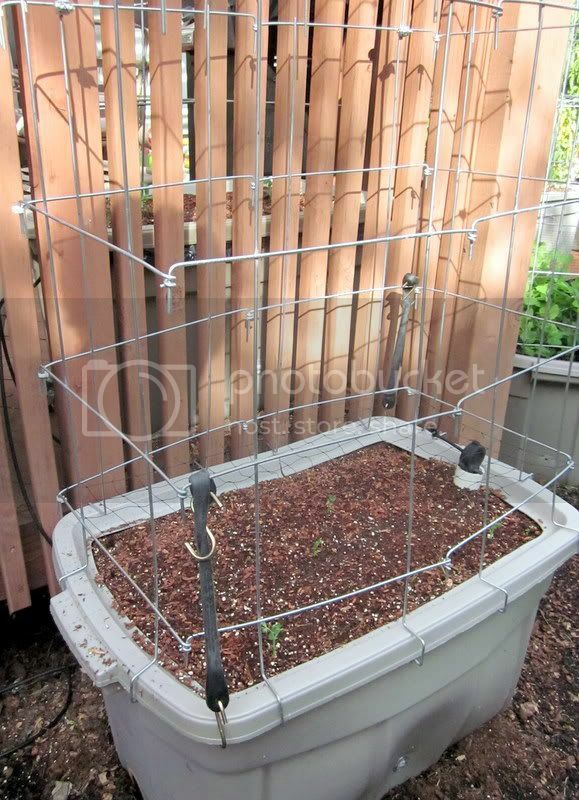 This is a little off topic, but I am wondering how well the Glamos tomato cages work in a garden. Since the top is wider than the bottom, I always thought they would fall over unless they were secured to a t-post or some other type of support. Am I wrong in my assumption? You definitely need to stake the Glamos cages, or else the weight of the plant and fruit will pull them over. That was one of my continuing challenges when I grew in a raised bed, prior to the EarthTainers. Thanks Raybo! Originally, I was thinking about using them for determinate tomatoes. 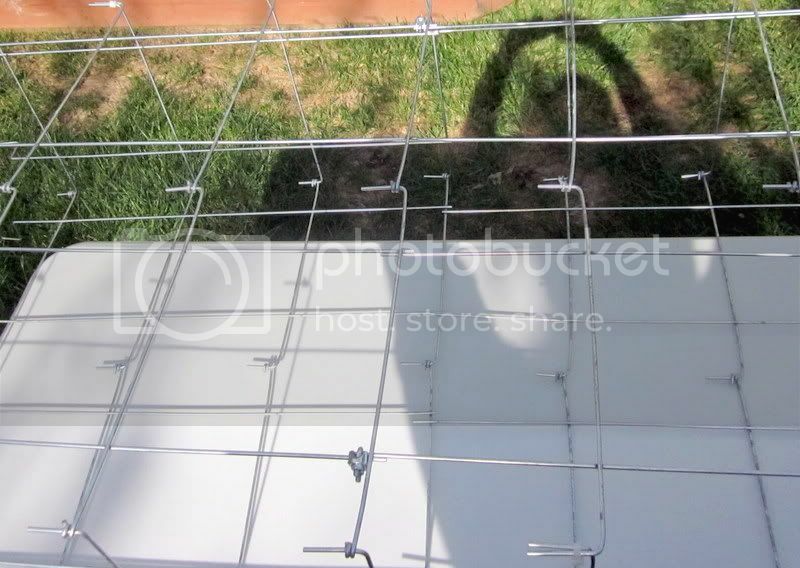 Would the glamos cage work okay for small fruited peppers like Jalapenos, etc. (where there wouldn't be too much weight on the cage)? Or do you think they would still fall over? 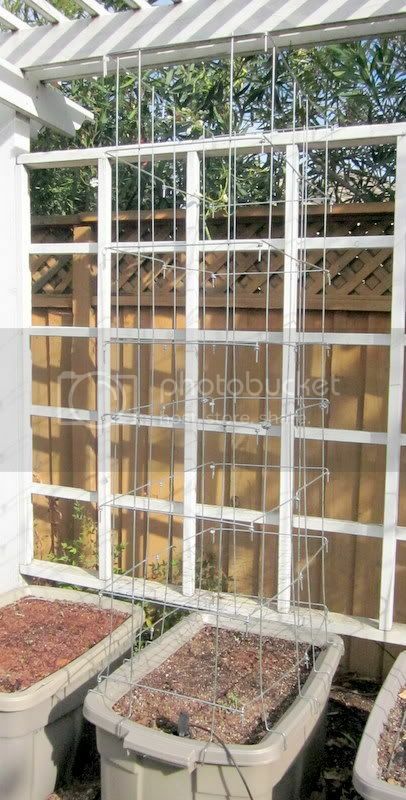 Maybe offer to take a neighbor's zucchini if they take your cages? 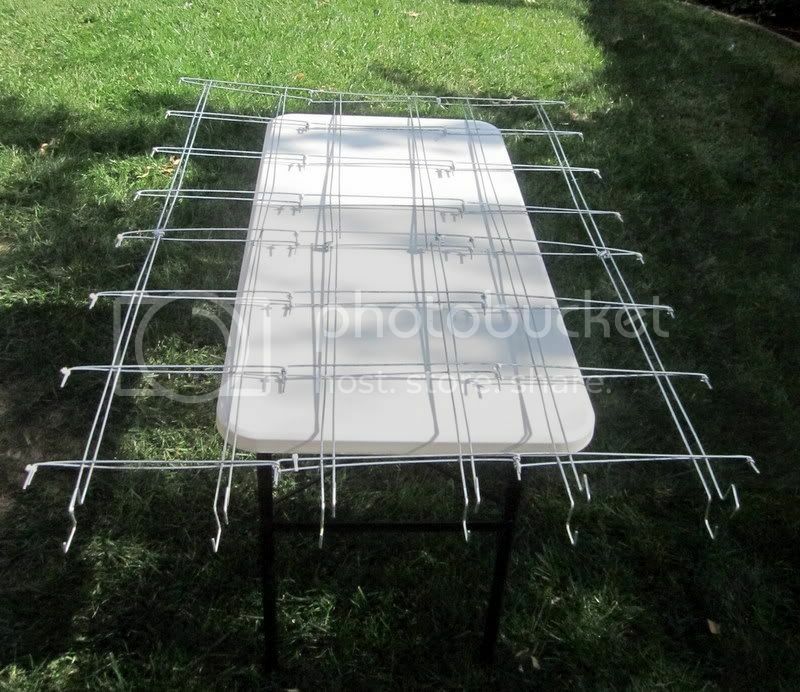 Actually, the Glamos 54" heavy-duty cages are tough to find these days since Walmart stopped carrying them 2 years ago. 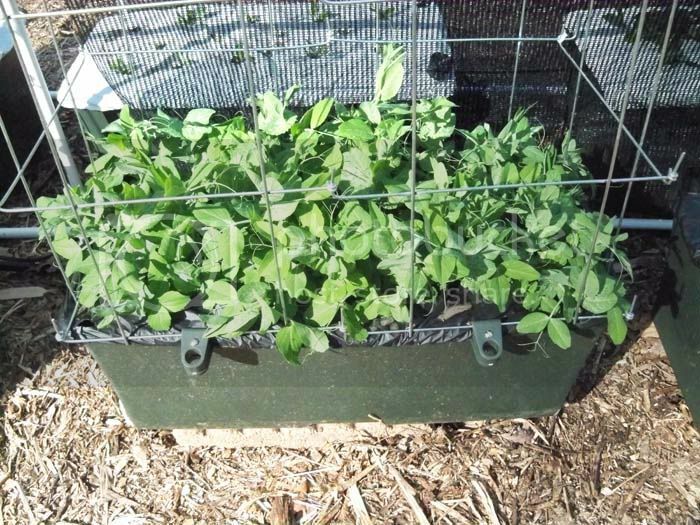 I'll probably retrofit just a few EarthTainers a year with the new Pea Cages, as the Glamos cage system is still about a foot taller (73" versus 62"), using these for plants like Big Beef, and other tall ones. 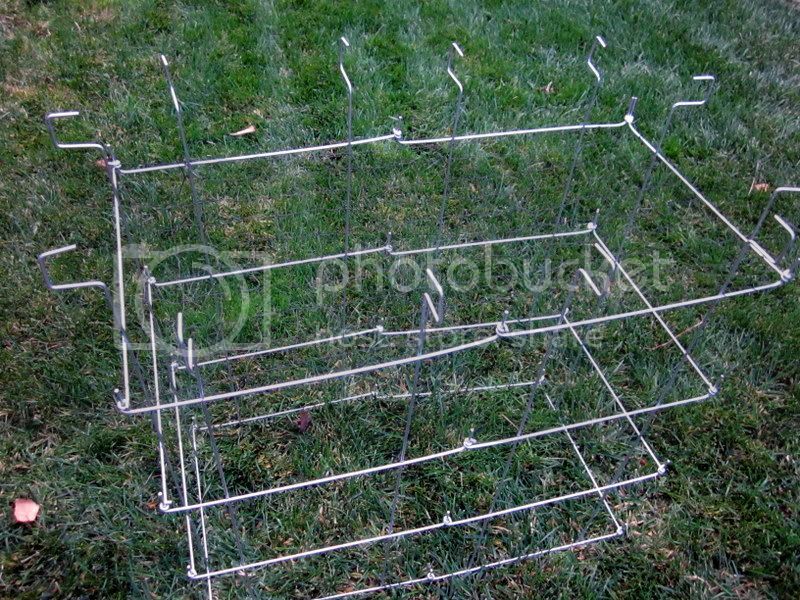 I have been sitting here this week trying to figure out how I can build a cage to fit my EarthBox for the Pepper plants. Your design will be perfect. Thanks for posting the photo! 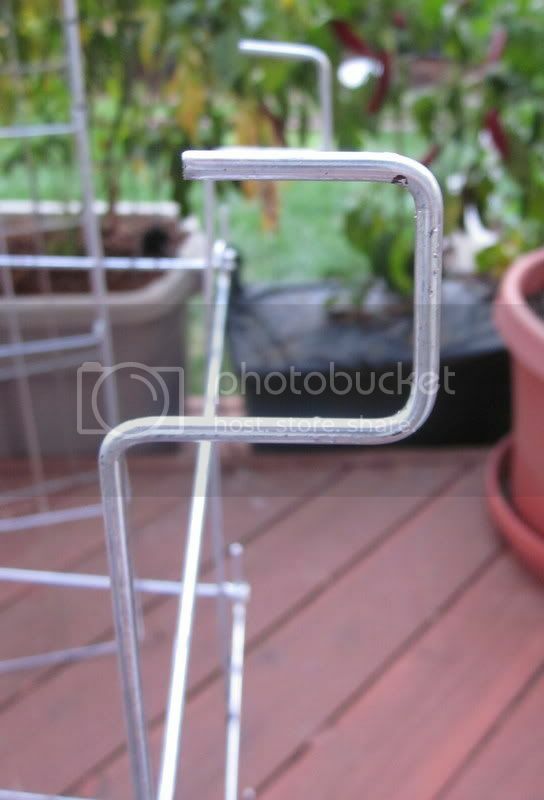 You may want to take pliers or a nutdriver over the upward pointing cage ends, and bend them inward so you don't cut yourself when walking by the cages, as they seem to always point out from the manufacturing process. Just a safety suggestion. yeah, I thought it was pretty smart of me to think to use the staking system clamps like that. I told my husband to bow down to me as he is usully the one who thinks of these things. It holds the cage on very tight too! I'm temped to sell the whole cage idea to earthbox . The clamps are reasonably priced too. I got 4 of them for $5. You will need to buy some bolts to get it to work. the ones that came with my earthbox staking system rim clamps are too short for this use. I'm using 4 10x24 1-3/4 inch bolts, along with the nuts that came with the clamps, per cage. 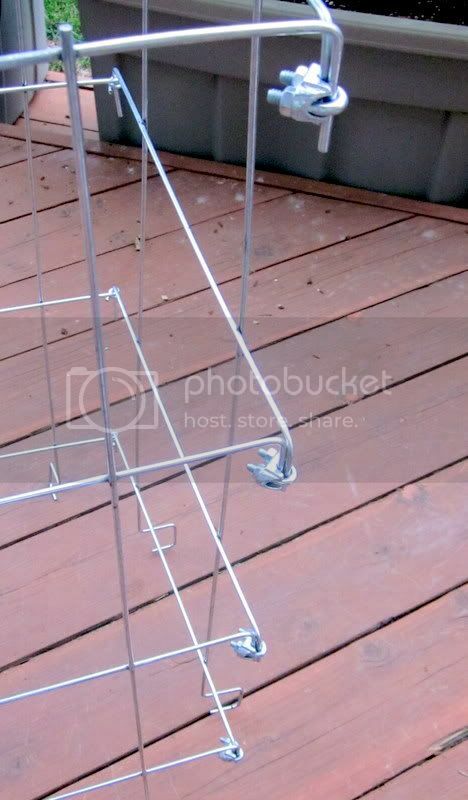 Also, I used these cage clips to put the two pea fences together. It came out way cheaper than the rope clamps that you use. I have to make 20 cages and that many rope clamps would be expensive. Last edited by bdank; April 16, 2011 at 09:33 PM. 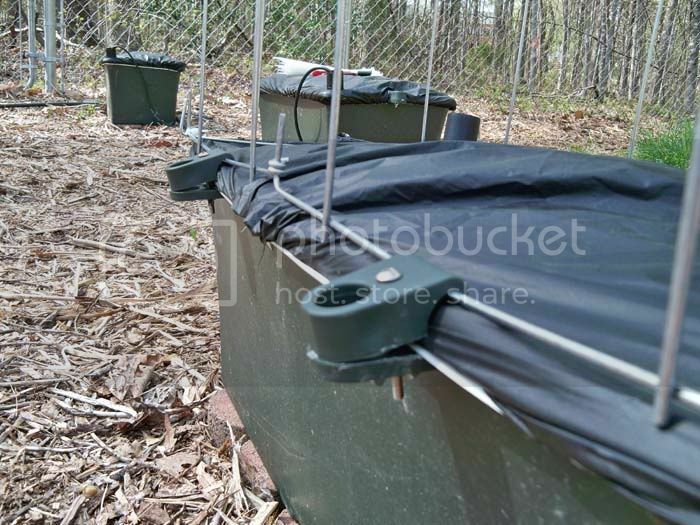 BTW here's a link to where we are discussing these cages on the earthbox forum. Raybo, you are one ingenious dude. So much so that you force me to question my own intelligence. I am just trying to apply what I've learned in Technology over the years to growing tomatoes.